Here’s the latest piece off the easel. 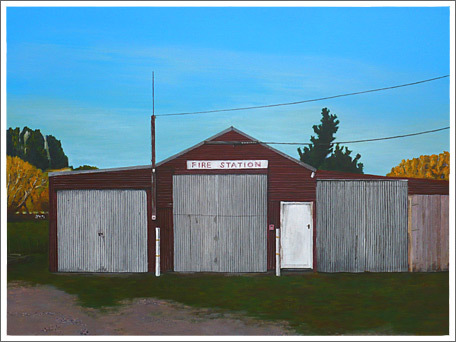 It’s an acrylic on canvas of the Tinui fire-station in the Wairarapa. It measures 800 x 600mm unframed. I’ll consider selling it beforehand, but this is headed for the Affordable Art Auction in Wellington later this year. That look stunning Al, nice one…. Kind of like “Sticken child” – see you next week.